Bulbophyllum is the largest and most diverse genus in orchid family, with 2,200–2,500 currently accepted species. New species in the Cirrhopetalum alliance (a subumbellate inflorescence, elongated lateral sepals) are frequently described from tropical Asia. During field surveys in montane areas of Jingdong, southern Yunnan, China, researchers from Xishuangbanna Tropical Botanical Garden (XTBG) and Kadoorie Farm and Botanic Garden found a new orchid species. After consulting literature and comparing morphological characters, they name it as Bulbophyllum jingdongense. Bulbophyllum jingdongense differs morphologically from all previously described species in the Cirrhopetalum alliance. It has subglobose or compressed subglobose pseudobulbs. Its sepals and petals are with dense, reddish-purple papillae abaxially; and its lateral sepals are connate at the base and free at both ends, etc. Bulbophyllum jingdongense is currently only recorded from Yunnan Province in Southwest China and Khammouane Province in central Laos. 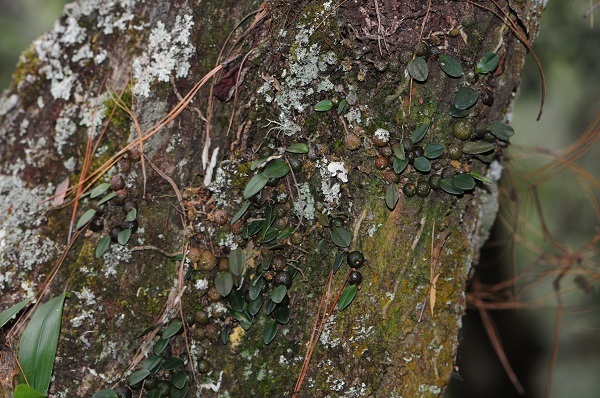 In China, it inhabits mixed broadleaved and coniferous forests, where it grows epiphytically on the rough bark of several tree and shrub species. 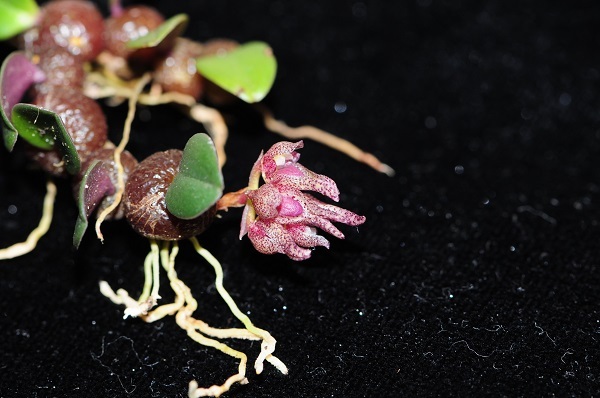 The new species “Bulbophyllum jingdongense (Orchidaceae), a new species in the Cirrhopetalum alliance from South China and Laos” has been published in Phytotaxa.